Hilary Westlake was born in Plymouth, a daughter of a naval officer and educated at convents and grammar schools. She trained for the theatre at E.15 Acting School and performed with several avant garde companies including Interaction's TOC and London La Mama before forming Lumiere & Son Theatre Company with writer, David Gale. The company, funded by the Arts Council, produced over fifty original shows for theatres, shopping centres, ferry boats, botanical gardens, castles and swimming pools. The shows used text and music together with strong visual and choreographic elements. Initially, most of Lumiere & Son's shows were written by David and directed by Hilary but latterly, she was responsible for the concept as well as the direction of the pieces. Hilary directs existing texts, operas and cabaret and creates large scale site specific performances. 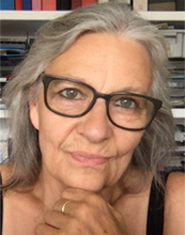 She has worked all over Europe, Australia and parts of Asia and has extensive experience in running seminars and workshops for both professional and student performers, designers, writers and directors. She is frequently engaged as a creative consultant on films, corporate presentations and live performances. From 2003 to early 2006 she was the Creative Director of Entertainment at Disneyland Resort Paris.